We’re hosting a networking event for members of the Toptal Community in Porto. Join us at Café Vitória, Wednesday, May 9th starting at 7:30 PM. 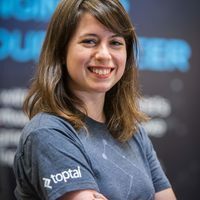 This is an opportunity to meet Toptalers from the Finance, Design, and Developer fields, as well as Toptal’s Europe Community Lead, Asia Lindsay who will discuss community operations and the new initiatives we’re hosting. The event is open to all current and prospective Toptalers, so feel free to bring a guest. Please RSVP on this page to give us an accurate head count. For questions regarding this event, please contact the event organizer, Asia Lindsay.